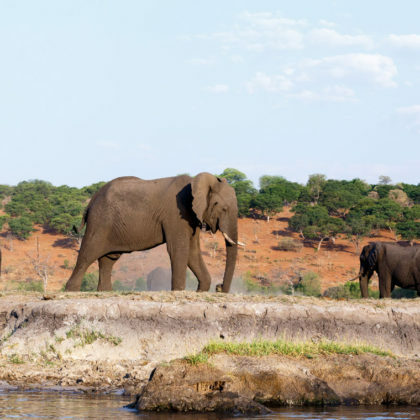 Travel in style on a river safari on a houseboat on the Chobe River which is known for the many elephants which come to drink at the water’s edge. Go on tranquil sunset cruises and see the sky change through the many different colours of the African sunset while sipping on a refreshing drink. 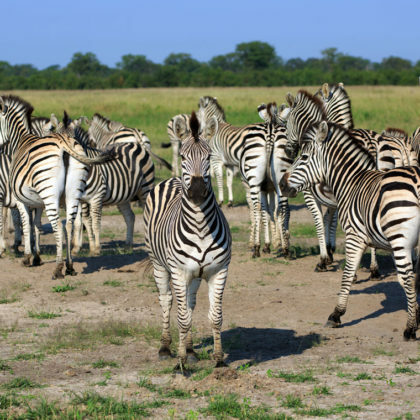 Relax on board and watch the animals such as zebra, impala and waterbuck grazing on the floodplain as you cruise gently upstream. Take in the spectacle of Victoria Falls – the widest waterfall on Earth and one of the wonders of the world. Upon your arrival at Victoria Falls International Airport you will be met by one of our representatives and driven to your accommodation in Victoria Falls. You can spend the afternoon relaxing. In the afternoon you can visit the Victoria Falls National Park and see the widest waterfall on earth. Speak to your consultant about adding in an optional sunset sundowners cruise above the Victoria Falls. 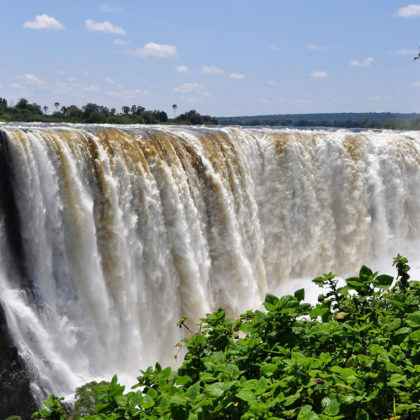 In the morning you will have some time to spend shopping for curios or perhaps you are daring enough to go bungee jumping off the Victoria Falls Bridge. Around mid-morning you will be driven to the town of Kasane. At the Kasane Immigration Office which is situated on the Chobe River in Kasane (Botswana) you will be met by staff from the Chobe Princesses. You will have to complete immigration again as you are crossing into Namibia and you will be transferred to the Chobe Princess by boat which sails in Namibian waters. 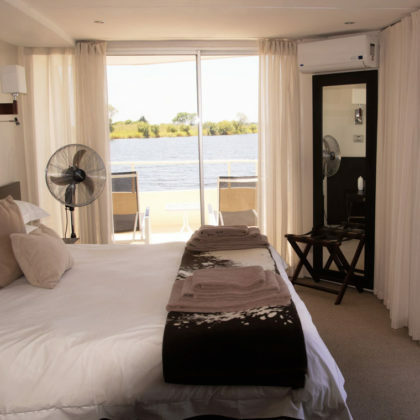 You will be welcomed on board the Chobe Princess by the Captain and shown to your cabin. A safety briefing will be given. The Chobe Princess will during this time begin to sail on the Chobe River to her mooring point for the night – a cruise which takes about 3 hours in total. You can enjoy sundowners and watch herds of zebras and elephants coming down to the river to drink. Enjoy a delicious plated meal onboard and listen to the gentle sounds of the night as you drift. In the morning tea and coffee is available on the upper deck for the early risers. This time early in the morning is a great time for spotting animals that come down to the river to drink. Breakfast is served from about 8 AM and the morning is yours to spend relaxing. 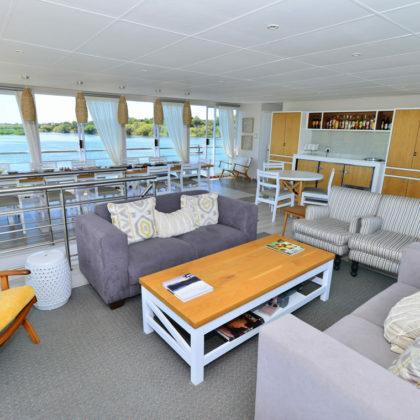 You are able to stay on board and enjoy the comfort of your surroundings with a good book and a pair of binoculars; alternatively you can elect to take your own private tender boat with a guide to explore the Chobe River in more detail. This allows you to get up close and personal to the wildlife and birdlife of the area and to experience the very best of the region. For those looking for a little more action, you are also able to try your hand at fishing for one of the Chobe and Zambezi Rivers most predatory fish – the Tigerfish. You can also go for a guided walk on the flood plain where your guide will show you how to track animals. 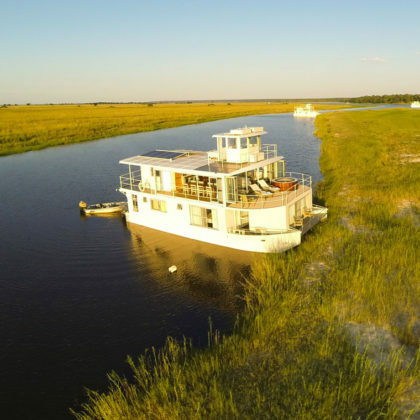 During lunch, the Chobe Princess will undock from her mooring site and begin to cruise to her next mooring position on the river – again about 3 hours in total and offering wonderful views over the Chobe National Park and the Caprivi wetland area. You have the choice to spend the time lounging on the houseboat or again you are able to take your tender boat and guide to do your own private activity. Once again a delicious sit down meal is served onboard. This morning tea and coffee will be available from early for the early risers and after breakfast you will disembark from the Chobe Princess and transfer by boat back to the Namibian immigration on Impalila Island and across the river back into Botswana. 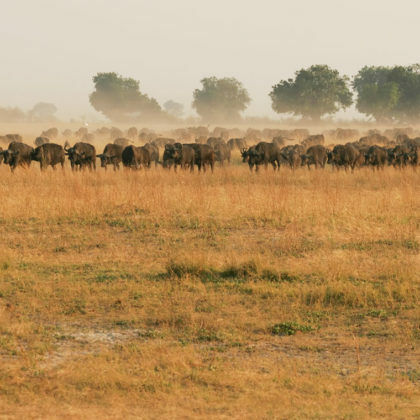 You may well enjoy game viewing along the way. For those clients catching an afternoon flight to Johannesburg, you are more than welcome to make use of the Chobe Safari Lodge facilities which include a bar, swimming pool and lunch menu. 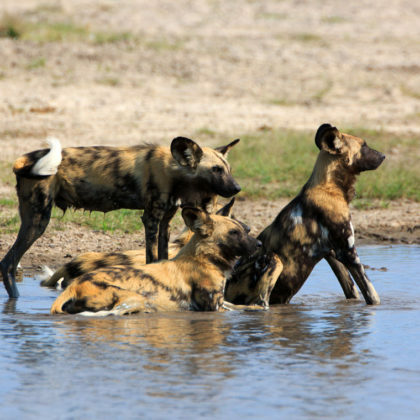 We are then able to assist you with a boat transfer from the Chobe Immigration Office to the Chobe Safari Lodge jetty and a road transfer to the Kasane Airport.